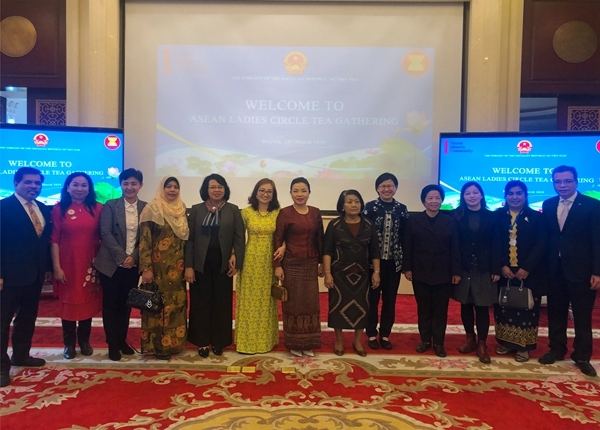 On 28 March 2019, the Embassy of Viet Nam in China held the ASEAN Ladies Circle Tea Gathering. 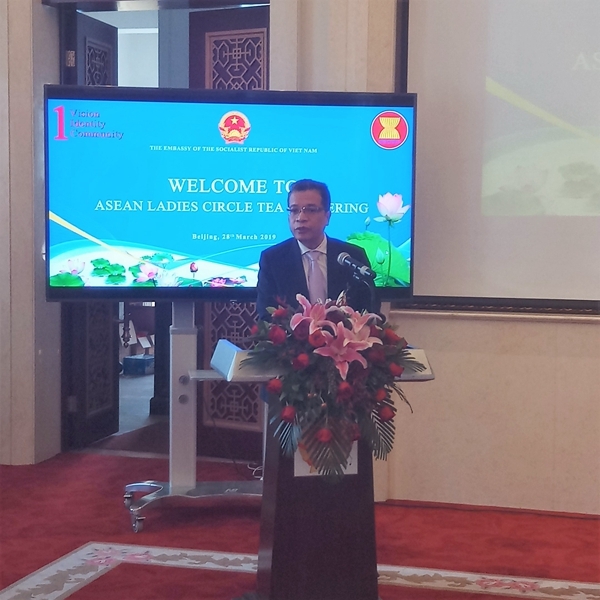 Mr. Dang Minh Khoi, Ambassador of Viet Nam to China, delivered remarks, applauding the increasingly significant role played by women in today’s society. He expressed appreciation and good wishes to the female diplomats and staff of embassies of ASEAN Member States (AMS) in Beijing and partner organizations for their devotions and contributions to ASEAN-China relations as well as friendship among AMS. Ms. Wang Hongliu, Director of General Affairs and Coordination Division of ASEAN-China Centre (ACC) attended the event among around 100 female diplomats and spouses from AMS embassies and ladies from relevant organizations. 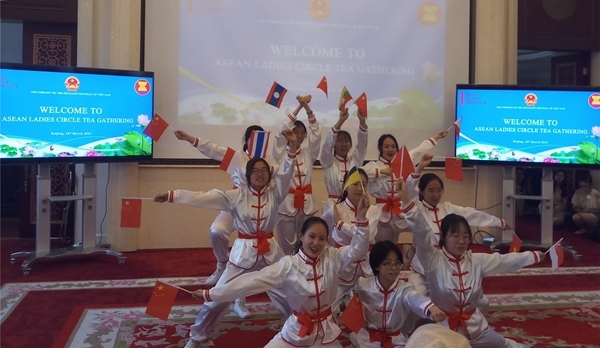 The guests witnessed the welcome and farewell ceremony for the committee members of the ASEAN Ladies Circle and enjoyed wonderful performances.